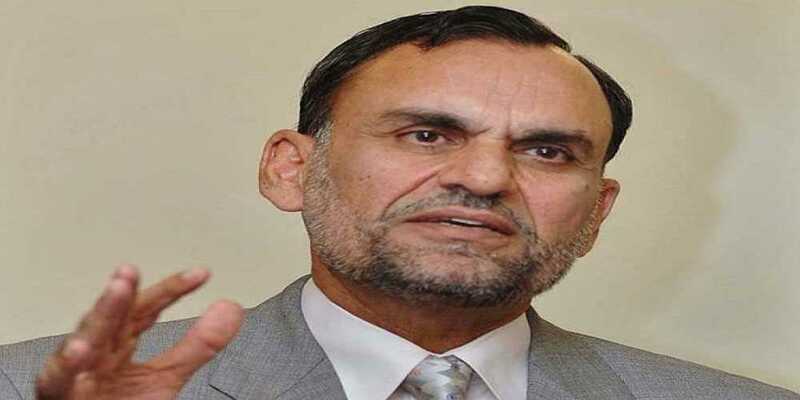 Federal Minister for Science and Technology Azam Khan Swati resigned on Thursday. The Pakistan Tehreek-e-Insaf (PTI) leader is currently involved in a suo motu case pertaining to ‘illegal’ transfer of former Inspector-General Islamabad Jan Muhammad. IGP Muhammad, a grade-20 officer of the Police Services of Pakistan (PSP), had been directed to report to the Establishment Division on October 27, apparently on the verbal order of Prime Minister Imran Khan on the complaint of the minister. The Supreme Court had sought legal assistance from two lawyers for suggesting a possible course of action against Swati in view of a joint investigation team’s (JIT) damning reports highlighting his alleged misuse of authority. Renowned lawyers Khalid Javed Khan and Faisal Siddiqui were tasked to give legal assistance about the applicability of Article 62(1)(f) of the Constitution on Swati, who allegedly used his influence on police to victimize the family of one Niaz Muhammad whose cow allegedly grazed on his land. The article pertains to qualifications required for membership of parliament. Chief Justice of Pakistan (CJP) Mian Saqib Nisar had remarked that Swati’s trial could be conducted under Article 62(1)(f) of the Constitution, adding that the minister should have resigned voluntarily after submission of the JIT report.